As a hardworking Pennsylvanian, you want to be treated fairly by your employer and/or employees. Broken contracts, harsh negotiations, and unfair labor practices can have negative effects that reach far beyond your workplace and into other facets of your life. You need help resolving the difficulties of an employment disagreement. 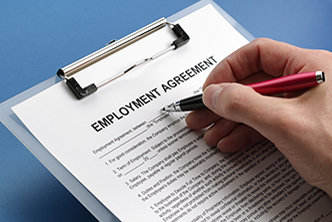 Most employees have no protection, which is known in the industry as “at will” employment, and very few people understand their employment rights. That is why it is so important to contact an attorney if your rights have been violated in the workplace. If you need help resolving an employment law matter, contact the experienced State College, PA attorneys at The Mazza Law Group, P.C. today. We help people in State College, Lemont, Howard, and throughout central Pennsylvania. You can also click here for additional information about employment law from Joseph C. Korsak.